Nonprofit leaders and staff meet for the BBJ Nonprofit Awards 2018 at Regions Field. Birmingham is fortunate to have one of the most philanthropic communities in the nation. While that philanthropy obviously is a testament to the giving hearts of the local community, it also reflects the quality of local nonprofits. Birmingham is home to a number of charities, nonprofit initiatives and organizations that are raising the local quality of life, helping those in need and, ultimately, playing a role in the economy through a variety of programs. 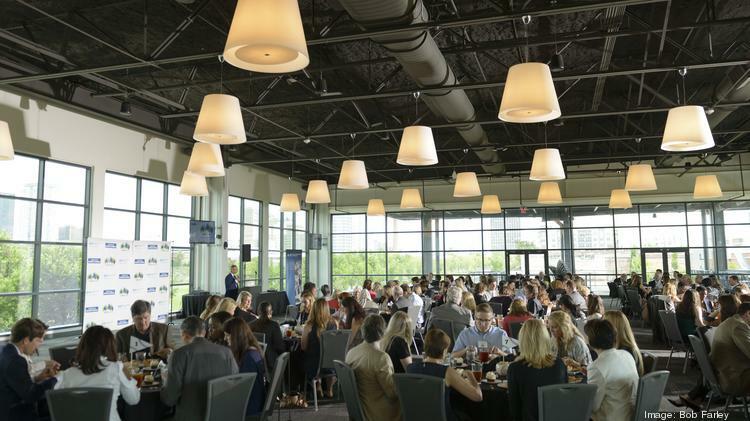 Each year the Birmingham Business Journal awards those nonprofits that are making a big difference in the community in the Nonprofit Awards, which recognize both nonprofit organizations and companies that support the local charitable and philanthropic communities. Honorees were selected based on nominations received at bbj.com. Finalists and winners were chosen by an editorial committee at the BBJ. Later this year, the BBJ is partnering with the Association of Fundraising Professionals to honor the philanthropists, advisers and others who shape the local philanthropic scene in the annual National Philanthropy Day Awards. You can make nominations for those awards at afpalabama.afpnet.org. The deadline is June 30.